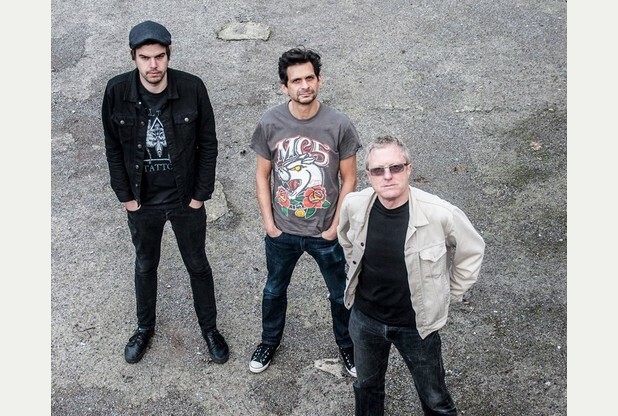 Hailing from Harlow, Essex in the U.K. the Newtown Neurotics were formed in 1979 by guitarist Steve Drewett and Colin “Dredd” Masters. With the addition of Simon Lomond on drums in 1981 this line-up would prove to be one of Britain’s most politically fueled punk bands of the 1980’s. Their music was heavily influenced by the Ramones and The Clash and featured insightful politically charged lyrics. 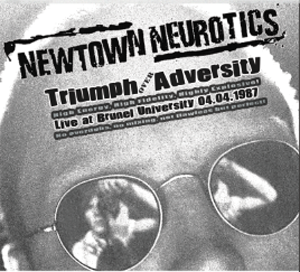 The Newtown Neurotics were in a class of their own, with songs as catchy as The Jam . The band released a series of singles from 1979-1987 as well as a classic full length album “Beggars Can Be Choosers” on Razor Records in 1983. They were also featured on the “Punk and Disorderly III” compilation on Anagram Records, with their classic “Kick out the Tories” which would cement their legacy in punk forever. During the mid 1980s, the band dropped the "Newtown" from its name and simply became The Neurotics; along with the name change also came a slight change in their sound with the addition of horn arrangements and slower tempos. The band was well receipted throughout the U.K. as well as main land Europe. They released two more albums on Jungle Records before calling it a day in October of 1988.